The Herbalist Color System is integrated into our packaging to help you quickly find products that fit your needs. 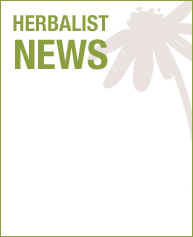 Join our email list to receive special offers and learn about the latest news in herbal medicine. This web site is for educational purposes only. The theories and formulae presented in this web site are opinions expressed by The Herbalist,and as such are not intended to be used to diagnose, prescribe, or administer in any manner to any physical ailments. Products manufactured by The Herbalist contain structure/function claims that have not been evaluated by the Food and Drug Administration. In any matters related to your health, please contact a qualified healthcare practitioner. The Herbalist is not responsible for any statements or claims that various manufacturers make about their products. We cannot be held responsible for typographical errors or product formulation changes. You should carefully read all product packaging.